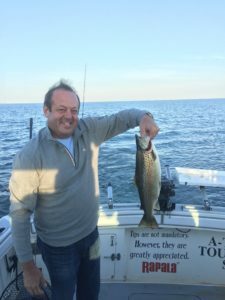 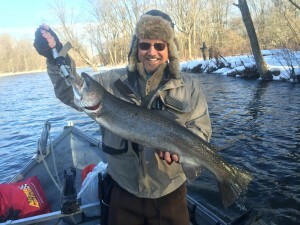 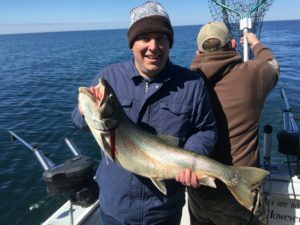 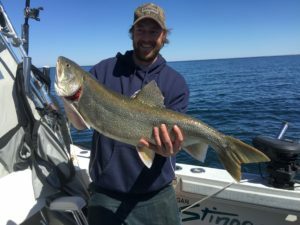 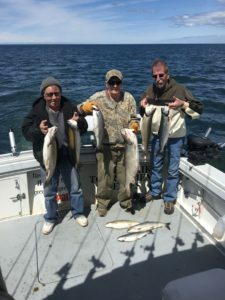 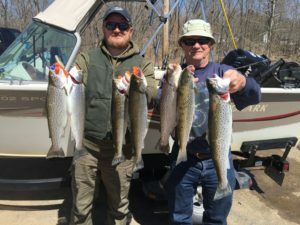 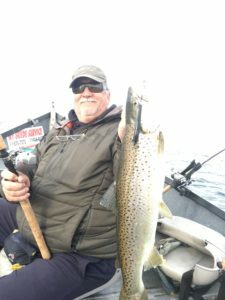 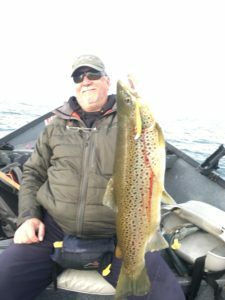 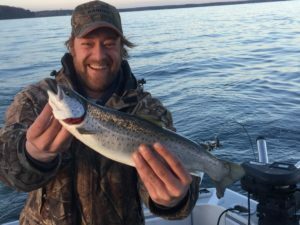 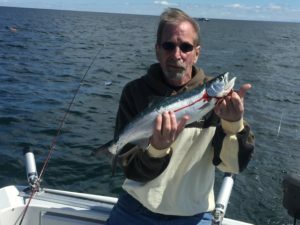 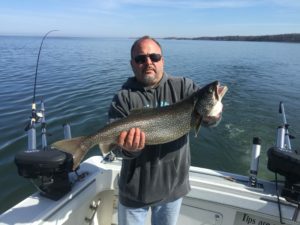 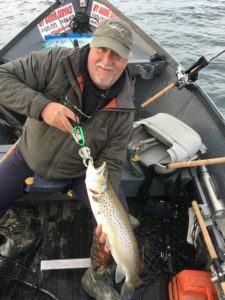 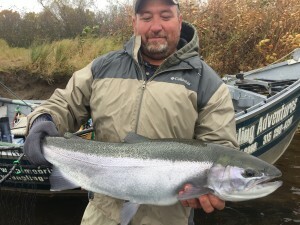 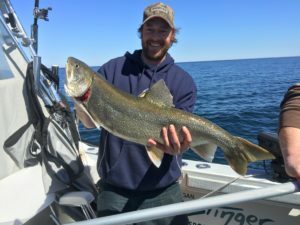 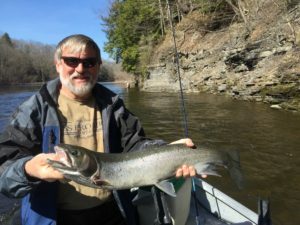 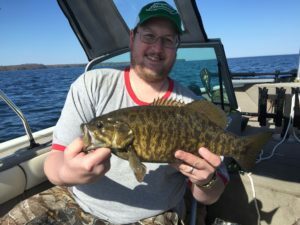 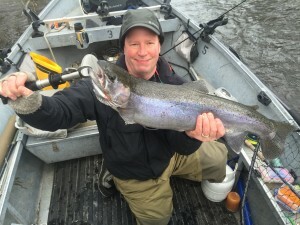 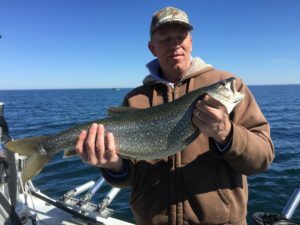 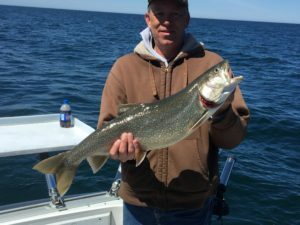 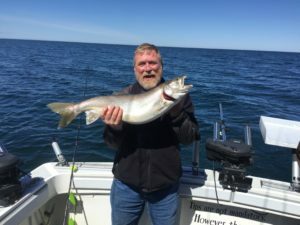 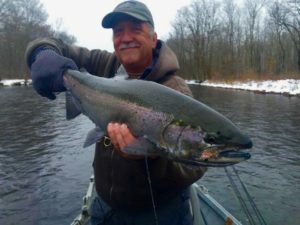 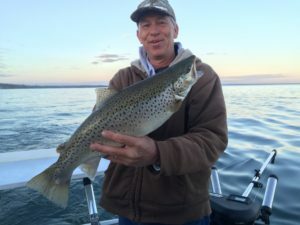 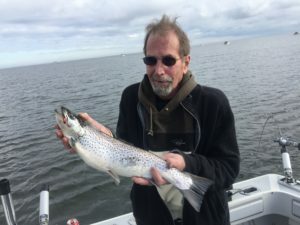 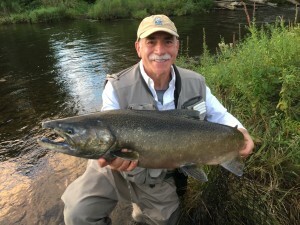 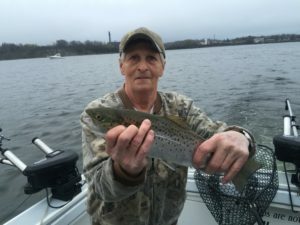 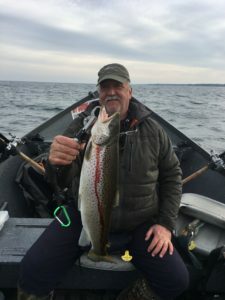 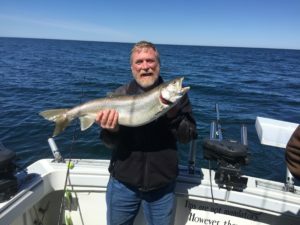 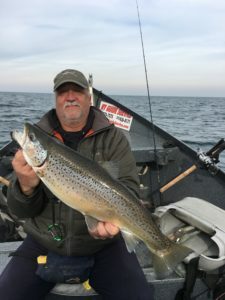 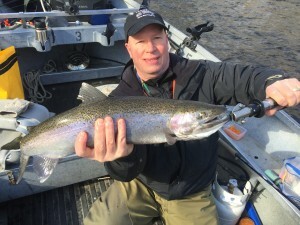 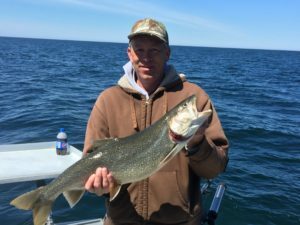 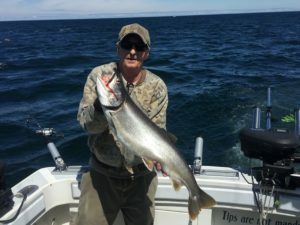 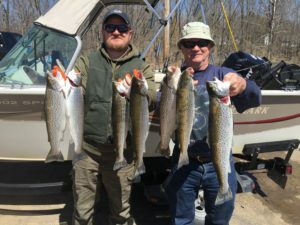 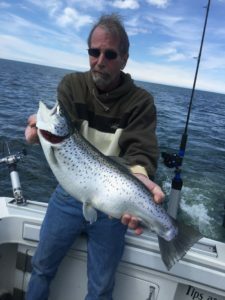 Reports Archives - Angling Adventures Lake Charter & River Guide Service Pulaski, NY. 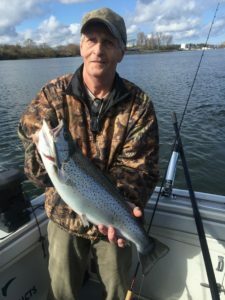 The Lake boat is a 30′ Aquasport with an 11′ beam giving us a large fishing platform. 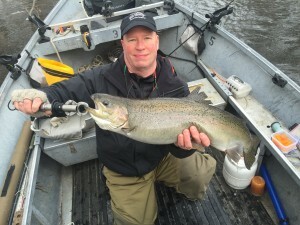 It is equipped with twin 300 hp Crusader engines to get us out and back quickly. 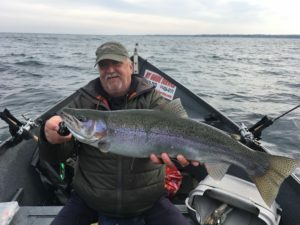 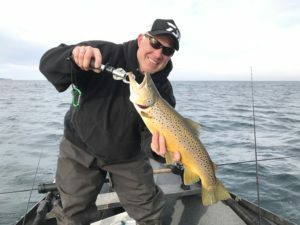 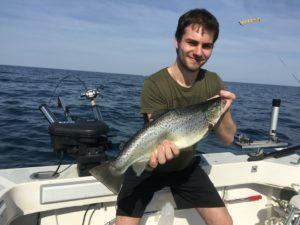 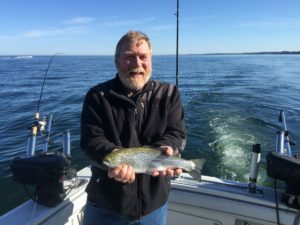 We have also equipped the boat with a Yamaha high thrust 25 hp kicker for quiet and smoke free trolling, which is controlled by a Controllking Throttle control for precise trolling speed. 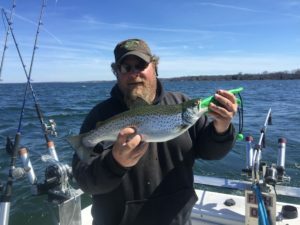 Scotty HP Electric downriggers, Fish Hawk X4D down speed and temp unit, Furuno 587 fish finder, Furuno Radar, Raytheon GPS, and a Standard Horizon VHF Radio. 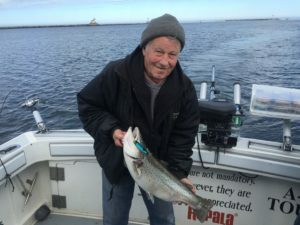 The boat is equipped with a large enclosed head (bathroom), there is also a Grill onboard if you wish to do some cooking for a hot breakfast or Lunch. 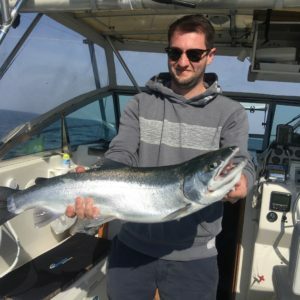 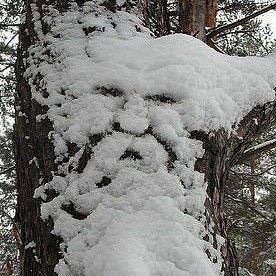 Coast Guard inspected every year for your safety.